Ah, daffodils. Lovely flowers… And a sure sign winter is on its way out the door. Well girl, bravo to you for giving up smoking!!! I know it’s not easy, I’ve seen what friends have gone through to do it, but still, well…I’m proud of you! Ah…and of course beautiful photo too! 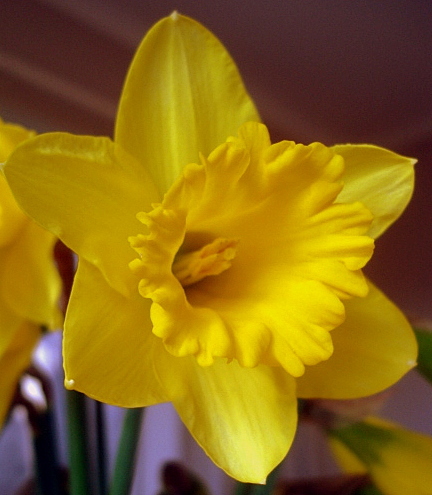 Daffodils are my favoriute bulbs….nothing is toughier and cheerier.